Our success story begin in 1996 in the heart of Old Montreal when Jean Guy Daneau and is wife Sonja Remy had the idea to transform their clothing boutique situated on St Paul street for the last 20 years into a Creperie. 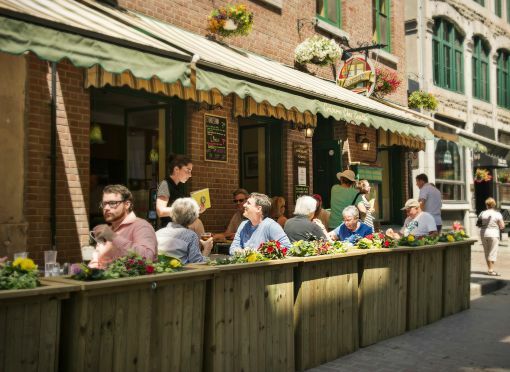 The Creperie, than callen Creperie du Vieux Montreal, had only 20 places and was always full; there were always lines in front of the restaurant. The new owners were overwelmed with the success of their new entreprise. During the following years there were 2 expansion to the Creperie which added 38 places and then another 72 places. The creperie now has 130 places in total. Our high standard in customer satisfaction, quality products and friendly environment. Those are factors that have inspired our enterprise and guaranteed our success.